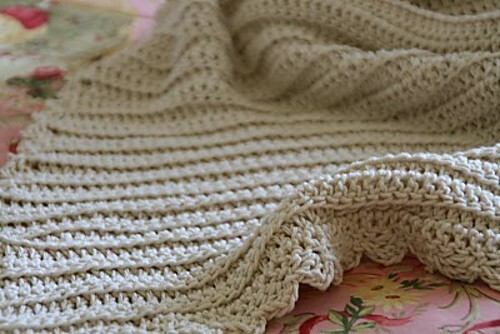 This is a beautiful blanket pattern for a baby blankie! You can add just about any border and make it look elegant. The Classic Baby Blanket by Rayn Blair is an awesome beginner pattern and the beautiful history behind this it makes this pattern even more special. It’s simple and elegant and any mom would love wrapping her little one up at night with a blankie who’s pattern was created with so much love! Thanks to Rayn Blair for the article inspiration and featured image. Does anyone have a cotton they would recommend? And source? Love the pattern and the border…..very pretty.